The Trump administration issued interim final rules Friday that will provide much-needed relief to those with moral or religious objections to one of Obamacare’s most egregious assaults on rights of conscience and religious liberty: the HHS mandate. The mandate, from the Department of Health and Human Services, requires that nearly all insurance plans must cover abortion-inducing drugs and contraception. This onerous mandate is a burden on employers, individuals, and religious organizations who, because of their beliefs concerning the protection of unborn human life, are faced with the decision to violate sincerely held religious or moral beliefs, pay steep fines, or forgo offering or obtaining health insurance entirely. 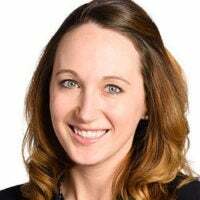 The Trump administration’s interim final rules (which will go into effect immediately) provide relief for employers and educational institutions with religious objections to the mandate, as well as relief for certain organizations with similar objections based on moral convictions. The origin of the mandate can be traced to Obamacare’s charge to the Department of Health and Human Services to outline the types of preventative services that health insurance plans must cover. HHS issued guidelines requiring coverage of all Food and Drug Administration-approved contraceptive methods and sterilization procedures, which include certain abortion-inducing drugs. Confronted by scores of religious organizations affected by the rule, the Obama administration proposed a wholly inadequate religious liberty exemption. The HHS guidelines initially included a very narrow religious exemption that effectively applied only to houses of worship. The Obama administration later extended the religious exemption to houses of worship and their integrated auxiliaries (such as church-run soup kitchens). But other religious employers (such as hospitals, schools, and social service organizations) and businesses remained responsible for complying with the mandate, despite sincere moral or religious objections. The Supreme Court provided relief to Hobby Lobby and Conestoga Wood, family-owned businesses with religious convictions contrary to the mandate (in Burwell v. Hobby Lobby) and to certain religious institutions (in Zubik v. Burwell). But many individuals, employers, and organizations remained subject to the mandate. Predictably, liberals have immediately caricatured the interim final rules as the administration’s attempt to deny women access to contraception, when in fact they do no such thing. The administration calculates that the rules will affect the roughly 200 employers that previously filed lawsuits or object to the mandate on religious or moral grounds, and “the number of women whose contraceptive costs will be impacted by the expanded exemption … is less that 0.1 percent of the 55.6 million women in private plans receiving preventive services coverage.” In other words, nearly all women in the United States will be unaffected by the rule. Nor do the new exemptions affect the many existing programs that subsidize contraception at the local, state, and federal level. Moreover, the rules outline, at length, the various ways that women will remain free to make their own decisions about, and purchase or find coverage for, contraception. The only thing the exemption does is to exempt those with objections from coercion to be complicit in choices that would violate their religious or moral convictions. 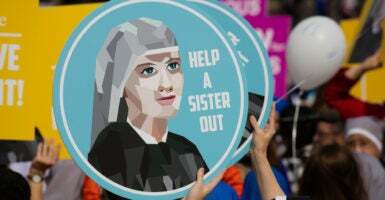 While the administration has provided regulatory relief from the mandate, there are also still pending cases regarding the mandate in courts across the country—including the case brought forward by the Little Sisters of the Poor. The government still needs to take action to resolve these cases, and it should do so immediately. Earlier this year, President Donald Trump stood in the Rose Garden to unveil an executive order on religious liberty and instructed the secretaries of treasury, labor, and HHS to address conscience objections to the mandate. Friday’s action is sound policy that will provide meaningful relief to Americans who have spent years raising objections to one of Obamacare’s most egregious assaults on rights of conscience and religious liberty.